“I hope they recognize the problem that’s been created has been created largely by their product,” Gottlieb told Vox. The FDA has cited research that shows an estimated 37 percent of high school seniors have tried e-cigarettes. A quarter of youth users told researchers they didn’t realize the products contain nicotine. 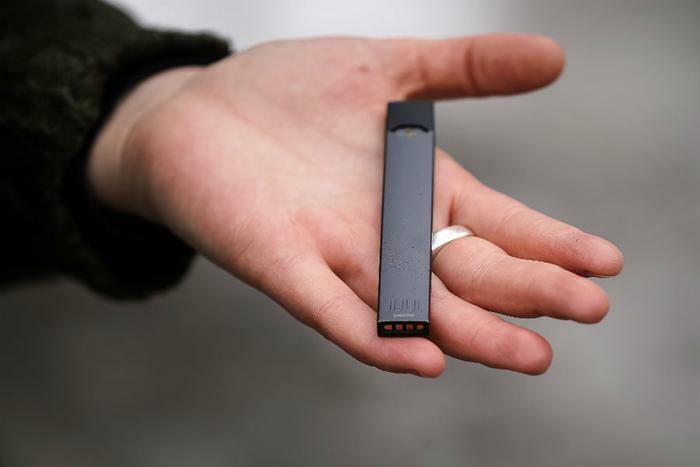 The agency has said products manufactured by Juul have been shown to be especially attractive to minors because they come in fruity flavors such as mango, mint, and fruit and creme. In January, Gottlieb warned that e-cigarettes could be taken off the market unless marketers made efforts to stop sales to minors. “I’m not willing to concede the point that the Juul product was responsible — at least in part — for the sharp uptick in youth use,” he said. For its part, Juul has maintained that it’s dedicated to helping adult smokers quit by serving as an “off-ramp” for users of traditional cigarettes. However, Juul’s early marketing campaign often appeared to speak directly to young people. After Gottlieb steps down from his post, Ned Sharpless -- the current director of the National Cancer Institute -- will replace him as interim FDA commissioner. Gottlieb says the surge in adolescent vaping has now reached the level of an “addiction crisis” which will “take time to reverse.” He said concerns about youth vaping should take priority over concerns about smokers if teen vaping rates continue to rise. Gottlieb’s past moves to curb youth use of e-cigarettes have included restricting the sale of flavored e-cigarette products to young people and asking companies to take voluntary steps to withdraw them.